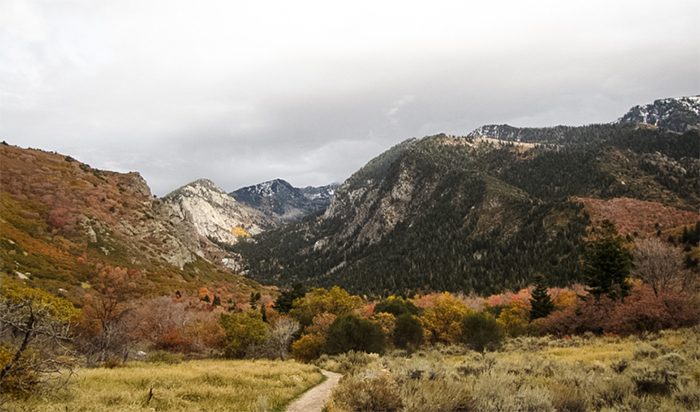 BELLS CANYON, UTAH - If you're looking forward to ski season, try hiking the stunning Wasatch Mountains near Salt Lake City to see great fall colors while you wait. This photo shows the spectacular scenery on a hike to Bell Canyon Falls, one of 6 hikes recommended by Ski Utah. The moderate hike features a reservoir, meadows, trees and a waterfall. Photo by Bryant Olson.